Vedanjali Gogineni, a native of Andhra Pradesh, India, and a University of Mississippi Ph.D. candidate in medicinal chemistry in the School of Pharmacy, received a 2016 Graduate Student Research Award in Drug Discovery and Development Interface from the American Association of Pharmaceutical Scientists. BioMolecular sciences graduate student Vedanjali Gogineni was awarded for her natural products research. AAPS gives four of these awards per year to recognize graduate students who significantly influence the research in their field. The award includes a $250 prize and travel expenses to the AAPS annual meeting. Gogineni’s award-winning research is an abstract titled “Phytochemical Investigation of Secondary Metabolites in Psychoactive Medicinal Plants for the Treatment of Neurological Disorders,” which explores compounds from medicinal plants that could treat neurological disorders. This research discovered a compound that could be used to treat Alzheimer’s disease, Parkinson’s disease and depression. Gogineni’s overall research works to identify and purify new natural products, some of which have an affinity with opioid or cannabinoid receptors to treat pain without addiction. Christopher McCurdy, interim chair of the Department of BioMolecular Sciences, and former BioMolecular Sciences chair Steve Cutler both advised Gogineni’s research. 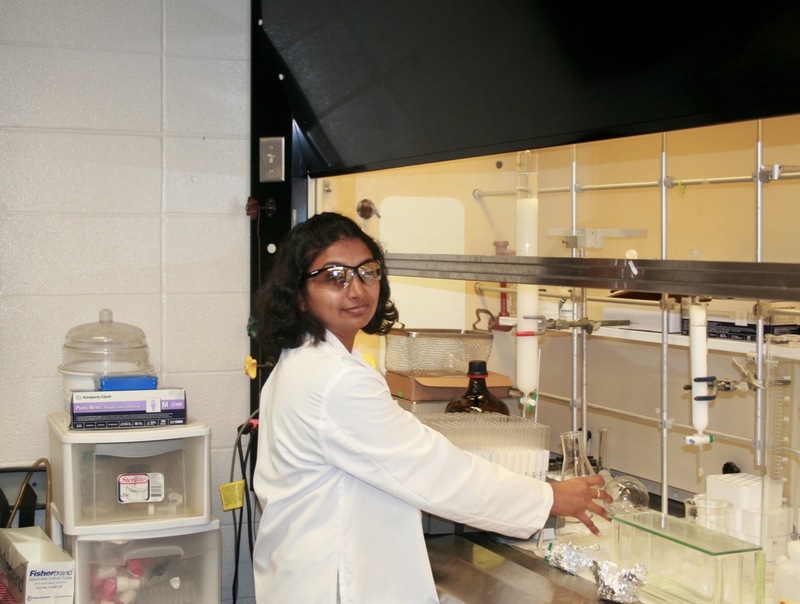 Gogineni is also a member of the university’s chapter of honors and service organization Gamma Beta Phi, and hopes to find a postdoctoral position after her May 2017 graduation. She will be recognized at the AAPS annual meeting on Nov. 13-17 in Denver.